I did a short walk-through video of my latest purchase over in Deptford, I thought you may want to have a look to see how you could add value to your next rental property. I will be reconfiguring the layout (much like my other project I'm running at the same time), so turning the property from 4 bedrooms to 5, but retaining a good amount of living/kitchen space. Naturally this will be open-plan, but I would say it's not going to feel cramped, the living space will end up being L-shaped, 5 metres in length by 3 metres. So roughly speaking that's 5x3 for the living area and 3x3 for the kitchen, very generous. In fact I also own a studio flat with similar dimensions just to put that into perspective - that whole flat can fit into the living room of this one! 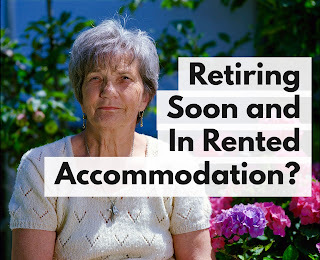 I digress however..
Well to maximise returns for rental you will have to increase a) the quality of the accommodation and b) you will have to increase the number of bedrooms. I can't very well extend beyond the upstairs unless I want to encroach on the neighbours, so by reconfiguring the space I will add a bedroom where the kitchen is currently. Ideal. Well you need to ensure that the walls aren't load-bearing of course before you go knocking things out. A structural survey is of paramount importance. Once that's out the way and the surveyor confirmed that none of the walls I wanted to move were load-bearing it was green light for the builders to go and turn my artist's impressions into reality. You would think that simply buying a property and calling a room a bedroom instead of a kitchen or reception room wouldn't really add value. Well, normally it doesn't. In days gone by this trick has been used by many a landlord, taking a standard, two reception, three bedroom house into a 4 bedroom, 1 reception room house. I think we're all past this now, it may get a few quid extra in rent, but there's no value add (no, not even if you put up a partition wall in the once through lounge). So why is this different? Well, for one, I am totally refurbishing the property. My purchase price reflects the seller's situation. He wanted a quick, cash sale and didn't want to do any work. There were in excess of 10 people living there (of dubious immigration status as well I would guess) and he was looking for essentially a cash buyer. I have a great relationship with a bridging finance firm and the cash was ready within 2 days of request. To get there, however, was some task though as the seller, in his infinite wisdom, had not applied for various packs he needed to sell the leasehold interest, so the purchase took over 3 months. "Cash buyers only need apply..."
So for this 4 bedroom, 1100sqft property I paid a grand total of £305,000, plus stamp duty, costs, building work, etc will take me up to about £368,000 or thereabouts. 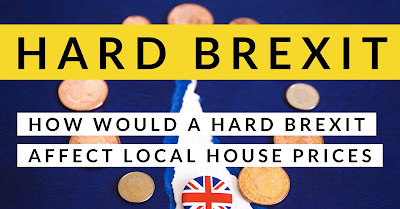 I am planning to refinance the property and by using other 5 bedroom ex local authority properties as comparables I'd imagine the surveyor will agree with my estimate of £450,000, which is conservative. There are currently others on the market, which are of a lower standard of course (as this will be brand new and have 3 bathrooms) but they are unsold so I cannot consider these, really. A 75% mortgage would lend £337,500, therefore repaying most of my costs. Refinancing on 75% of £450k (conservative) leaving 360-337=£23k in the property. So it's not No Money Down, but certainly Little Money Left In as they like to call it. Not too bad. On the rental side increasing from 4 to 5 bedrooms means the rent will jump from £2200pcm to £2800pcm, so a healthy return even after mortgage costs (under £1000pcm). The property will cash flow nearly £2000pcm, or £24k per annum. That means that it will pay back the money I left in (23k) in about 1 year. That's nice. So that's this project - are you looking to invest in a new buy to let? Or perhaps you are interested in co-investing in some of my projects? Whether you are investing, or yet have to start investing in South London get in touch with me via email if you want to see better returns. These projects are not fictitious, the figures are not plucked out of thin air. With nearly 15 years of South London property market experience I buy wisely for myself and my clients. If you are looking to have a chat in person why not come and join us at the Clapham Property Meet, the go-to social property networking event in Clapham. This month's meet is featuring Mark Barrett who will be giving an advanced talk on taxation - not section 24 and the like, you will know about all that I'm sure. So if you are looking to start/continue/advance your property investment come and join us!